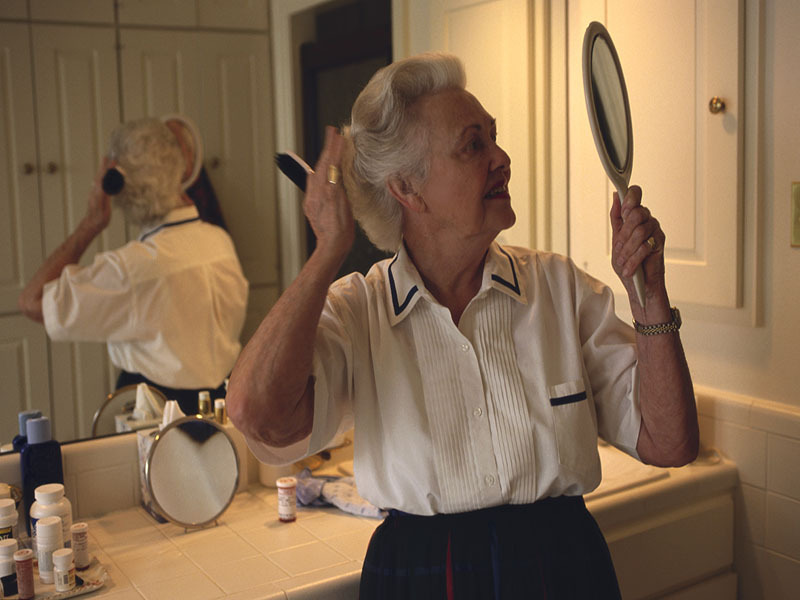 MONDAY, May 8, 2017 (HealthDay News) -- Changes in your hair -- whether it's graying hair or hair loss -- are a bane of aging. But if new research in mice pans out in humans, you could one day cross worries about your mane off your list of concerns about getting older. That's because researchers accidently pinpointed skin cells linked to gray hair and balding while they were conducting research on a specific type of cancer that affects nerve cells. The investigators believe their discovery could someday lead to new treatments to stop baldness and graying hair. "Although this project was started in an effort to understand how certain kinds of tumors form, we ended up learning why hair turns gray and discovering the identity of the cell that directly gives rise to hair," said study author Dr. Lu Le. He is an associate professor of dermatology at UT Southwestern Medical Center in Dallas. "With this knowledge, we hope in the future to create a topical compound or to safely deliver the necessary gene to hair follicles to correct these cosmetic problems," he explained in a university news release. The researchers found that a protein called KROX20 turns on skin cells that develop into the hair shaft. These cells are usually linked to nerve development. These skin cells then produce a protein involved in hair color. This protein is called stem cell factor (SCF). When SCF was deleted from mice, their hair turned white, according to the report. When KROX20 cells were deleted, the mice became bald, the researchers said. Studies done on animals don't always turn out the same in humans, so it remains to be seen if these results will look as promising in people. The study team does want to learn if SCF and KROX20 stop working properly over time in people. And, because gray hair and balding are often among the first signs of aging, this research could also provide information on aging in general, the authors noted. The study was published online May 2 in the journal Genes & Development.